When it comes to planning for studying abroad, there are a lot of things that students need to consider, and it can get overwhelming. Don't worry, though – AIFS is here to help! Here's some advice on topics that you should think about as you make arrangements for your study abroad experience. You might have the perfect semester abroad planned, filled with interesting courses about your host country, but you'll regret it later if you're not able to transfer the credits back to your home unviersity. Avoid this problem by getting your credits pre-approved by your home school before you study abroad. By making sure that your college will accept the credits from your host university, you'll have an easier time transferring the credits later. Also, make sure to keep in mind any required courses that you may have at your home school, as you don't want to find out after your study abroad program that you are off track for graduation. 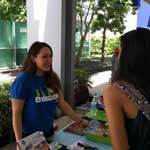 Work with your study abroad advisor and academic advisor to select the courses you'll take abroad. Food will play an important role in your international experience, and your meals abroad (especially if you're going to a country renowned for its cuisine, such as Italy or France) will give you a taste of the country's culture and traditions. Those pasta dinners don't come cheap, though – in some countries, the money you spend out of pocket on meals will add up to a major expense, which makes it important to plan ahead and budget for the cost of food. Find out how many meals are included in your program fees. Some providers, including AIFS, include a meal plan in the cost of the program, which means fewer out-of-pocket costs later. These meal plans can include meal vouchers to be used at local restaurants or grocery stores, meals provided by homestay families, university dining halls, and other options. Some providers do not include meals as part of the program package, meaning that you'll need to budget accordingly. Make sure to consider the cost of meals when comparing programs to determine the best overall value. 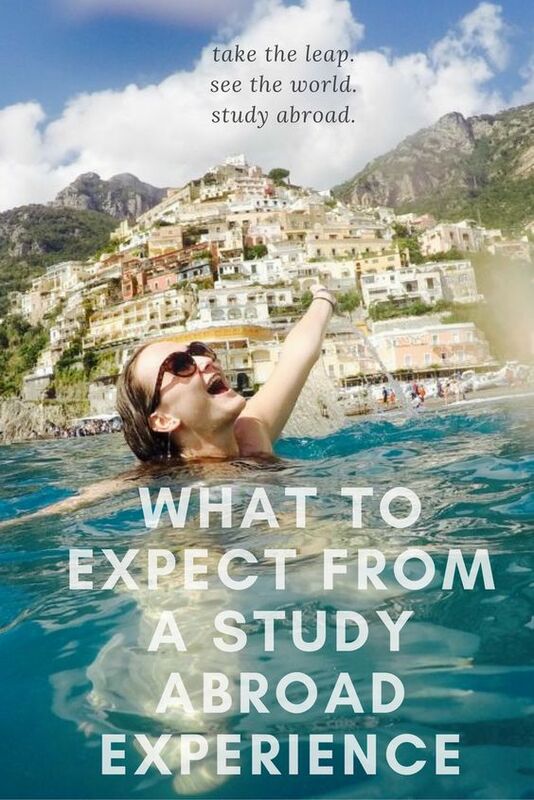 You've decided where you're going to study abroad; now how are you going to get there? Transportation is another big expense that you'll need to factor into the cost of your program. Round trip airfare, expecially to far off destinations like Australia or Africa, can be costly, and you'll also need to make arrangements to get from the airport in your destination city to your housing. Make sure to find out what transportation costs, if any, are included in your program fee, and budget for any costs that are not included. In order to make the traveling experience as low-stress as possible, AIFS provides an optional Flight Package for all programs that includes round trip airfare and airport transfers. Students who choose this option don't need to worry about booking flights or taxis – we take care of the logistics for you. When you are abroad, you will want to keep in touch with family and friends from home, but if you're not careful, you could rack up hundreds of dollars in cell phone charges. With a little research and planning, however, you can keep your communication costs to a minimum. Here are some tips to keep in mind. Please note that AIFS is providing this information for your reference and does not recommend one option over another. You may find that a combination of options will work best for you. Use your current cell phone plan: If you would like to use your current cell phone and number abroad, many cell phone providers offer add-on features (such as international voice or data plans) that can offset the high international charges associated with use of your cell phone internationally. You will be reachable through your current device and number, but this option is not recommended for extensive or long-term use, as rates can still be quite high. Also, keep in mind that most smartphones transmit and receive data automatically. This can result in unexpected charges when the phone is powered on outside the U.S., whether or not it is actively used for communication. In order to avoid these charges, you should contact your U.S. cell phone provider for further information if you plan to bring and use your cell phone abroad. International cell phone plans: Some providers provide special plans for international use, which may end up being less expensive than your current plan. For example, AT&T offers a Study Abroad Package for students participating in AIFS Programs. This plan is an add-on feature offering you a seamless way to remain in contact with the U.S. by talk, text, and data. If you already have a cell phone through AT&T, you will keep your current device and number. This allows your friends and family to reach you as soon as you arrive in your host country, and without having to pay international rates. You will also have the option to purchase a local phone and SIM card once you are abroad, and your Resident Director will be able to provide information on purchasing a phone during the first days of orientation. Pay-as-you-go (PAYG) phone options in your host country allow you to keep an eye on your budget and be assured that you will not face high unexpected costs. Various Voice-Over-Internet Protocol (VOIP) applications and programs are available, such as Skype. These programs will allow you to place domestic and international calls over Wi-Fi networks using your smartphone, tablet, or computer. The prices for these services are often inexpensive, but they rely on a Wi-Fi network, which is not always available. Therefore, this option is not recommended as a primary method of communication. 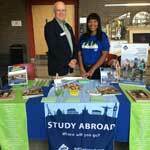 Have more questions about planning your study abroad experience? 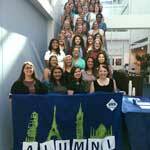 Contact an AIFS Admissions Advisor at 800.727.2437 or studyabroad@aifs.com.